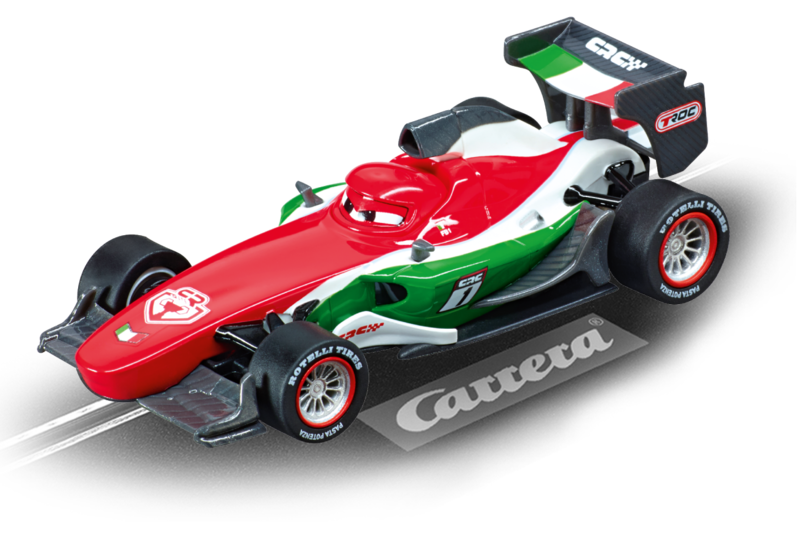 In Disney PIXAR's Cars 2 film, Francesco Bernoulli's car provides the toughest opposition to Lightning McQueen. Now he's been kitted out in a carbon outfit for even more action and tension in the new battle between the two. The 1:43 scale Carrera GO!!! CARBON Francesco Bernoulli slotcar is a thrilling, faithfully detailed reproduction. This Carrera car is perfect for introducing children of 6 years and upwards to the fascinating Carrera Racing World!